Dessert sandwiches are the best kind of sandwiches. 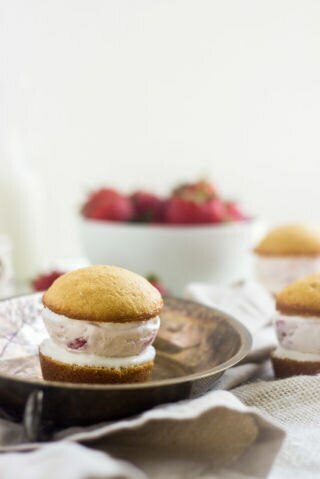 Ice cream sandwiches are one of those quintessential summer treats that you just can't get enough of. As good as the classic version from the ice cream truck is, there are so many awesome variations you can make at home. 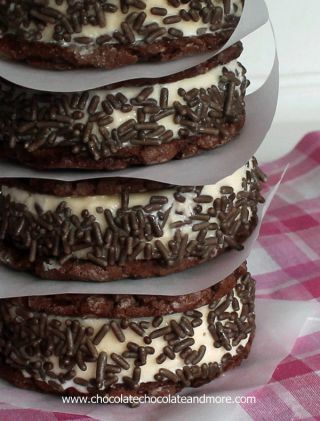 These 10 recipes prove ice cream sandwiches are anything but boring, and always delicious. 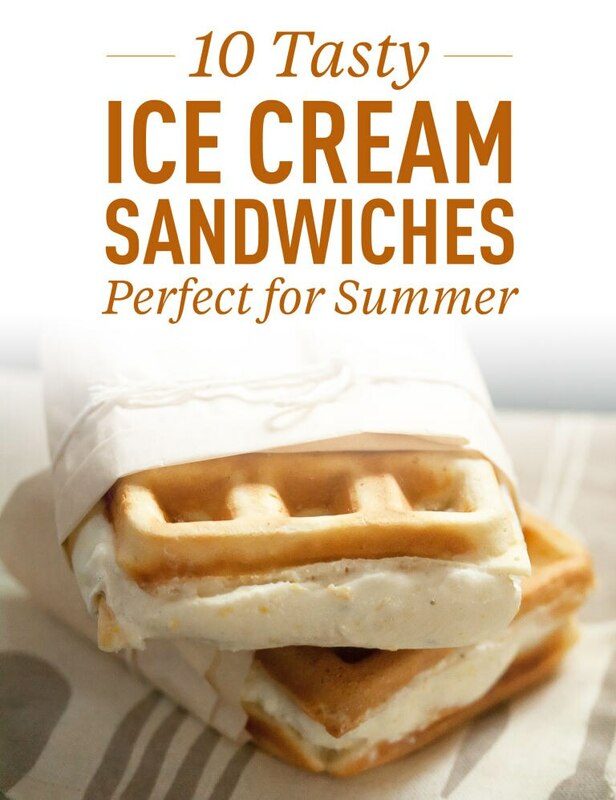 These sandwiches have two fun twists — waffles instead of cookies, and gelato instead of ice cream! 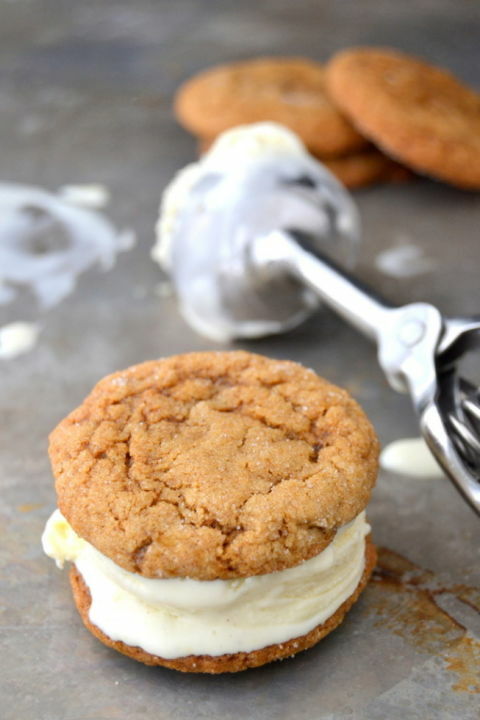 This cold ice cream sandwich melds warm flavors beautifully by pairing a ginger cookie with nutmeg ice cream. 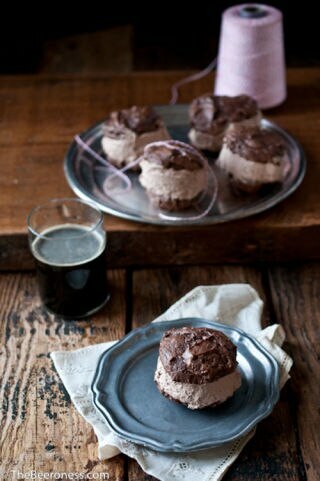 Chocolate and peanut butter are one of the best flavor combos ever, a fact that is totally obvious in this recipe. 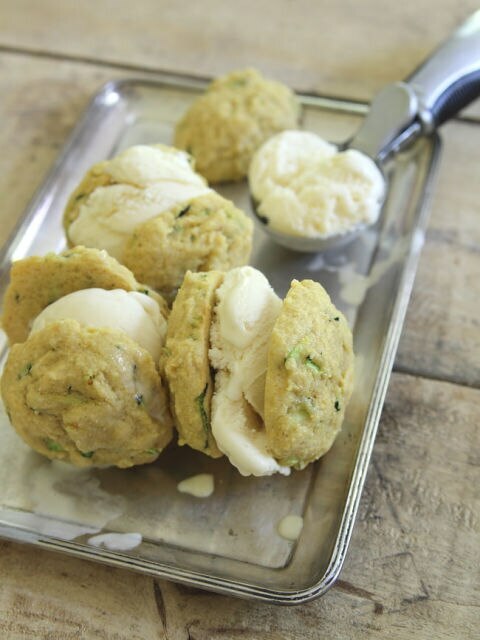 Lemon zucchini cookies sandwich vanilla ice cream for a perfect summery treat. An adults-only ice cream sandwich that is beyond rich and delicious. 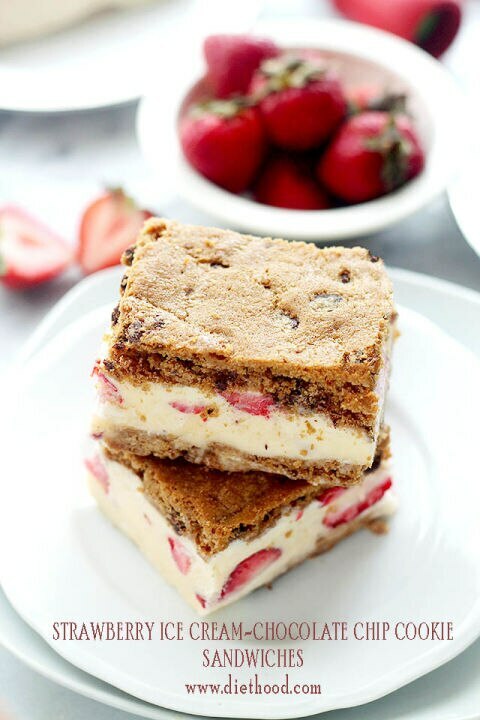 These are pretty much the best ice cream sandwiches you're ever going to eat, thanks to the always-winning combination of chocolate and strawberries. 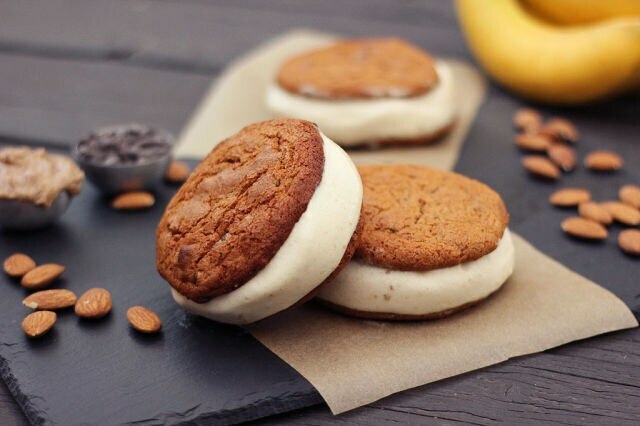 Grain-free eaters rejoice, this ice cream sandwich is for you! 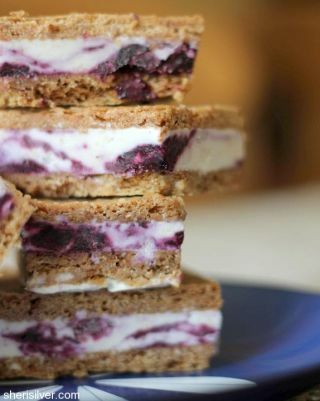 These sandwiches are made by stuffing brown butter cookies with lemon blueberry ice cream. It's almost too delicious to handle. Almost. 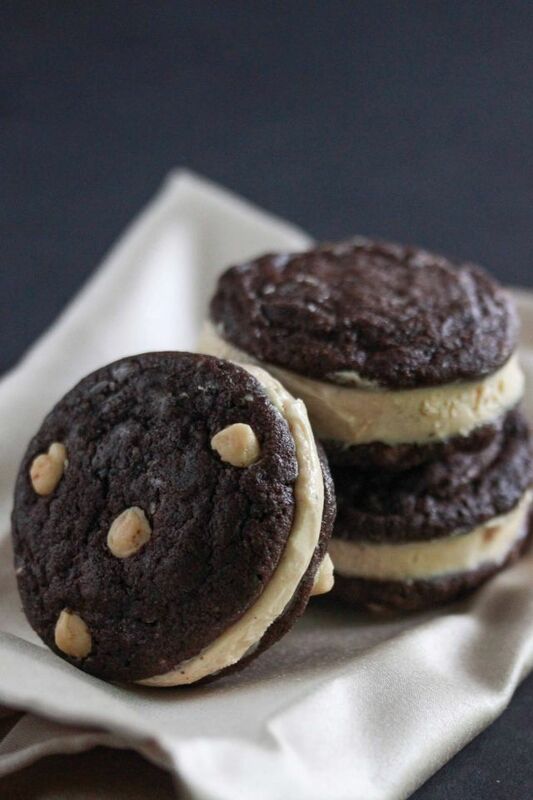 Sometimes you just need a classic ice cream sandwich with a chocolate cookie and vanilla ice cream. This homemade version is delicious and easy to make! This "ice cream" sandwich is unconventional and fun, featuring a cheesecake filling that is to-die-for delicious!